Millions of tourists spend billions of dollars each year in Ontario; in 2015 Ontario's tourism industry supported 389,000 jobs and generated over $32.3 billion in economic activity in the province. The insights gained from this consultation will help the government make it easier for tourism sector businesses to interact with government, innovate and grow without jeopardizing necessary standards that protect the public interest. 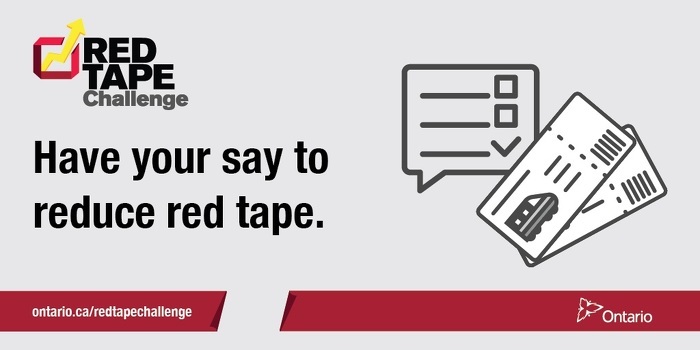 Businesses and other interested parties can provide feedback online at ontario.ca/RedTapeChallenge. This crowd-sourced platform gives users a chance to review current regulations and suggest improvements. The deadline for submissions is March 31, 2018. Reducing regulatory burden on businesses is part of Ontario's plan to create fairness and opportunity during this period of rapid economic change. The plan includes a higher minimum wage and better working conditions, free tuition for hundreds of thousands of students, easier access to affordable child care, and free prescription drugs for everyone under 25 through the biggest expansion of medicare in a generation. Tourism is the sixth sector of focus for the Red Tape Challenge. Previous rounds focused on the automotive parts manufacturing, food processing, financial services, mining and chemical manufacturing sectors. The final consultation will focus on forestry. This document was published on February 01, 2018 and is provided for archival and research purposes.